Shown above is our "Eucharist Set" in the "Memorial" pattern. 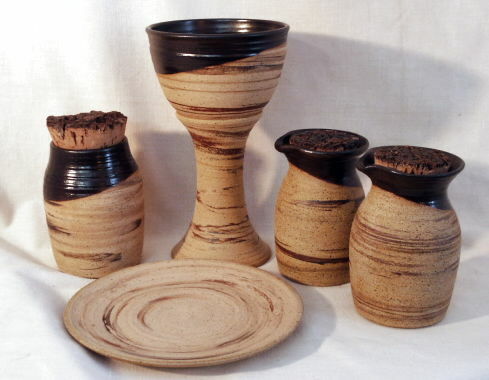 It is comprised of a Chalice (with or without carved cross, shown without above), a 6.5" diameter paten, a Host Jar with natural cork lid, and two Cruets also with cork closures. 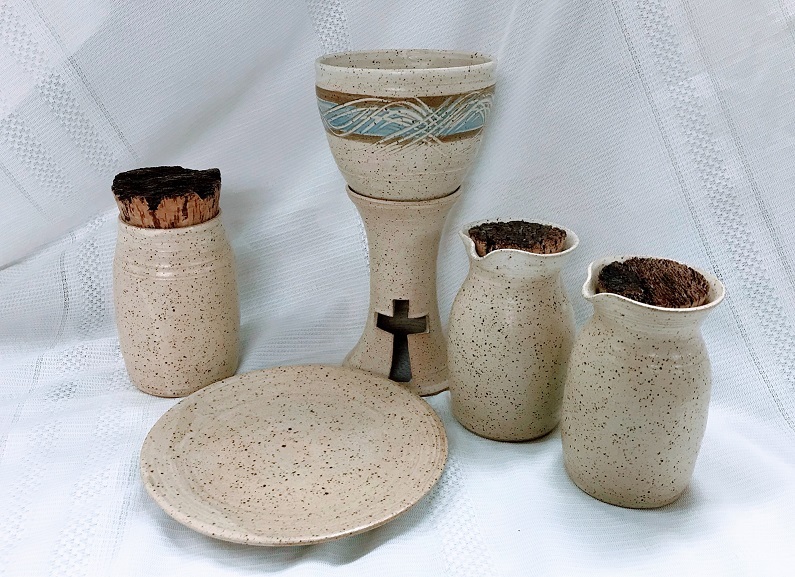 An excellent combination of pieces for serving communion in varied religious observances, this set also makes a fine gift for new or retiring clergy, or seminary graduates. 4.5" wide, 1.25" high, side handle. Cap. 4oz.